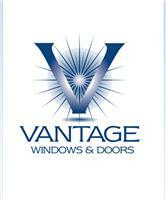 Vantage Windows and Doors aren't like other double glazing companies. We don't have any salesmen. We don't come to your home and take hours of your time only to give you a ridiculously high price then try and pressure you into signing a contract. In fact we never give prices on the spot. The initial visit is simply to carry out a quick survey to gather the information we need to put a quote together for you. This normally takes around 15 minutes. Within 24 hours of the visit you will then be emailed a very detailed quotation and a hard copy is also posted to you within 48 hours. NO money is asked for up front. You pay THE FULL BALANCE ON COMPLETION! We can't be any fairer with our customers. We provided a 10 Year Guarantee which is also Insurance Backed through 'The Consumer Protection Association'.